I've been on the hunt lately for screen-free learning activities and fun for our toddler. While we love some of the fun kids tablets currently on the market, it's equally as fun and important to have screen-free activities for preschoolers to explore, too. 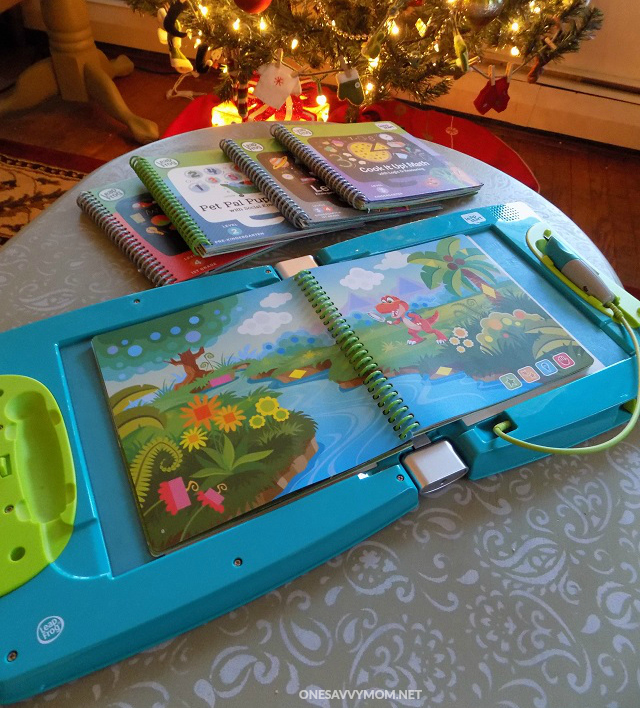 We are absolutely loving the new LeapStart™ Interactive Learning System by LeapFrog! It's a wonderful screen free tool for early learning, that actually grows with your child. There are two versions of this interactive system currently available; "Preschool" and "Kidergarten & 1st Grade." While our soon to be 3 year old is using the Kidergarten & 1st Grade version [pictured], it accommodates all of the preschool "level 1 & 2" books, too. You simply need to connect the learning system to your computer [via the on-board USB port] and download the content for each of the books, from the LeapFrog website. It only takes a few minutes [it's super simple] and I love that the system will continue to grow with him through 1st grade. We added quiet a few books to his LeapStart library, and he's been having a blast exploring the many page elements and activities offered in each book title. He's learning everything from shapes, to colors, to numbers, to early geography, to early handwriting skills, and MORE! 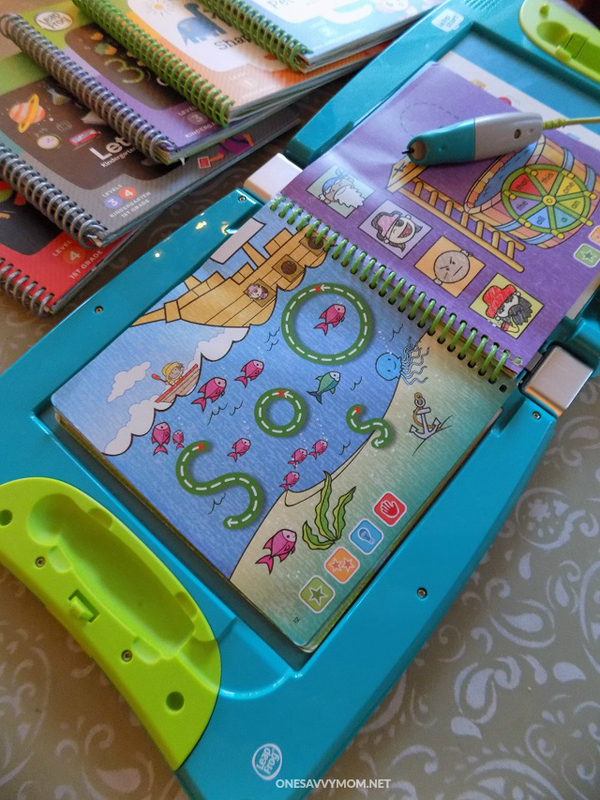 As a mom, I love that the LeapStart actually requires the fine motor skills of holding the pencil/pen-like stylus, to navigate the pages/activities. I also adore that this fun andengaging system holds his attention for 20-25 minutes at a time; fairly remarkable for his age! Visit www.LeapFrog.com to learn more. 4 book levels: Progress from Preschool to 1st Grade with 16 activity books that all work on LeapStart. School & Life Skills: Each activity book seamlessly blends school and life skills, like math with critical thinking for a more comprehensive introduction to key concepts. *Disclosure: Our thanks to the company for sending a unit for review/feature purposes. All opinions expressed are our own. I need to get one of these for my kids. They would love it and learn a lot. This would make a really nice gift for them for the Holidays! 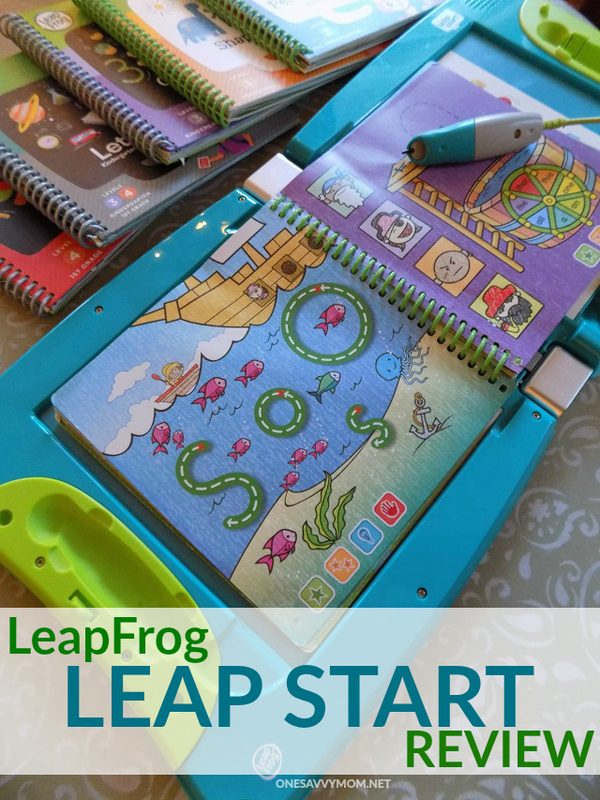 These LeapFrog LeapStarts are really great for learning. I got one for my grandson for Christmas, he will love this.